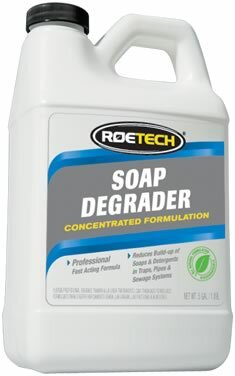 Soap and detergent build-up which can cause problems in any septic system is especially problematic when combined with the high levels of fats, oils and grease (FOG) associated with the food service and hospitality industries. SD has been specially formulated to reduce soap accumulations in sewer lines, traps and on-site sewage disposal systems which receive these difficult wastes. Regular use of SD will result in lowered soap and detergent levels throughout the septic system and will therefore result in more efficient, trouble free operation. Apply SD to toilets, traps or sinks.